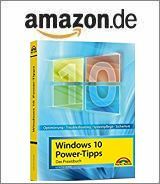 [German]Microsoft has released a small update KB4134662 for Windows 10 Version 1511 (the November update from 2015). This update has been released last week (on June 8, 2018). Addendum: The Windows 10 RTM build and Windows 10 V1607 (Anniversary Update) also received privacy patches KB4134663 and KB4134659. Only the anniversary update still gets updates (in the Enterprise version and as LTSC). All whistles and bells about the details may be read within my blog post linked above. But the assumption, that no more updates will be released, was simply wrong. Because Microsoft released (surprisingly for me) already another update KB4134662 for Windows 10 version 1511 last week – and more updates for other EOL builds. I wouldn’t have noticed that, if @phantomofmobile hadn’t nudged me on Twitter. This Windows update provides a notification of an improved privacy experience to the upgrade to the Windows 10 April 2018 release. Microsoft intends to inform users about privacy settings, if Windows 10 is upgraded to April Update. The same applies as for the Windows 10 V1511 KB4134662 mentioned above. Microsoft is upgrading the privacy settings notification to be ready for the upgrade to Windows 10 April Update (V1803). Why this is happening now for these Windows versions is not clear to me. I find it interesting that Microsoft classified those updates as critical. So, you are informed now – the rest of Patchday notification about other updates will follow sometime this night (here in Germany) as a separate blog post. This entry was posted in Update, Windows and tagged KB4134662, Update, Windows 10 V1511. Bookmark the permalink.